Every parent is waiting for their family to start growing, and some just won't stop asking when it will happen! 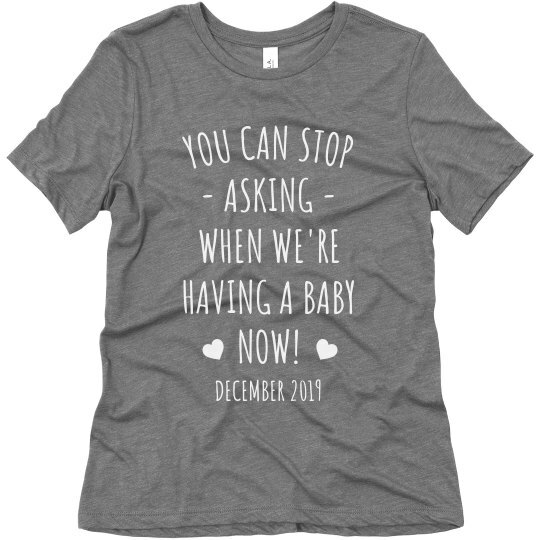 Turn those insistent questions into shouts of joy with this funny baby announcement t-shirt! Customize the date at the bottom to when you're expecting and you are ready to surprise both friends and family.